Update! New costume released to celebrate Captain Marvel in theaters. 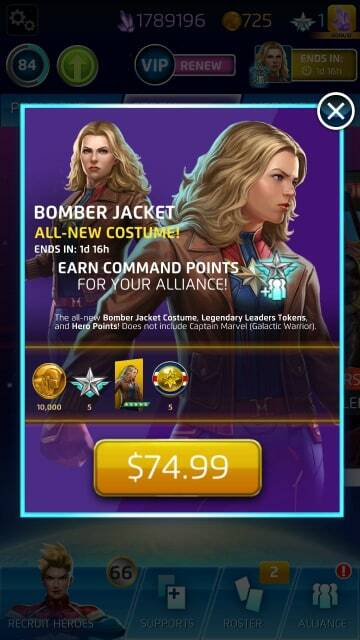 New Captain Marvel outfit costume with bomber jacket. 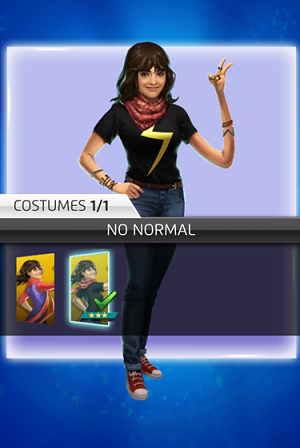 As of Nov. 26th, 2018, Marvel Puzzle Quest has added an new collectable to the game, in the form of costumes. Alternative costumes can be found in-game for certain characters (by the cover, not all covers of that character) to wear instead of their usual attire. 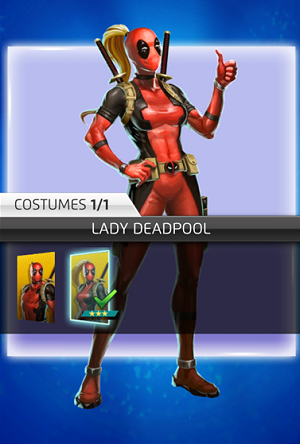 Although MPQ claims many more are soon to come, starting of there are 3 costumes, The heroes getting the costumes are Deadpool (It’s me, Deadpool! ), Kamala Khan (Ms. Marvel, and Luke Cage (Power Man). This makes the third set of collectibles in game, after Character Covers and Support Items. Costumes are only for looks, customization and bragging. As of now alternative character costumes do not grant extra powers or abilities, but that may change. Although Lady Deadpool is a real character from an alternate universe, she is arguably more known for fans cosplaying as her at events. This Deadpool is Deadpool, but with a woman’s figure and long blonde hair in a ponytail. Unlike the other Costumes, this is actually another character, Wanda Wilson, not Wade Wilson. Acquired by purchasing VIP from Nov. 26 to Jan. Dec. 2. This more casual costume features jeans and a black shirt. It is inspired from the in-comic story, No Normal. Acquired by purchasing Hero Bundle for $14.99. Another more casual outfit for our hero. 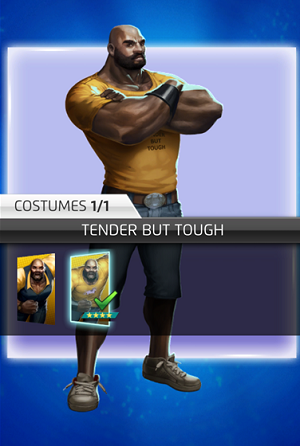 Really digging the shorts there Power Man. Acquired in Tender But Tough Vault. Open with tokens. 1 in 80 chance.